Home > Blog > Mugdock Country Park. Vito was particularly manky today, sorry Elle. He just LOVES every bit of mud, dirt, water that he can find. It can be bone dry for miles and then there will be one little bog and guess who is straight in!! 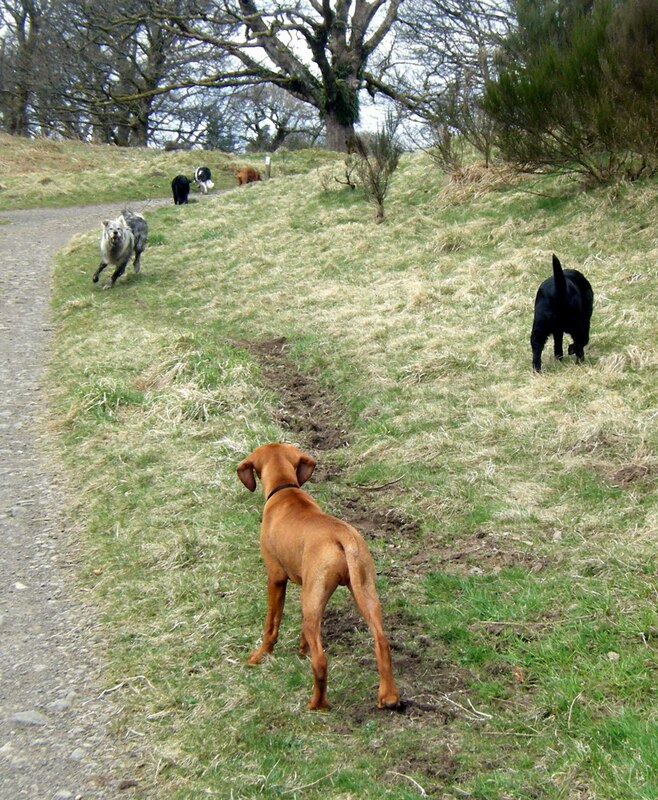 Wee Boris didn’t quite know what to make of Vito, Vizsla’s tend to be very clean dogs, so he kept staring at him every time Vito plunged neck deep into another bog, as if to say “WHAT are you DOING?? ?” Very Funny…. The two black labs Laddie & Meg just love their walk every day, and today was no different….and Skye, as always, was the perfect gentleman!